Norway’s largest-ever case of corporate corruption reached a new climax on Tuesday when a judge in Oslo convicted the former chief executive officer of fertilizer firm Yara International and three members of his top management team on charges they’d paid bribes in order to do business in either Libya, India or both. All four men were sentenced to jail terms of at least two years. Yara’s founding and former CEO Thorleif Enger was handed the stiffest jail term of three years, half of the six years prosecutors had sought but still considered harsh by Norwegian standards. Enger’s former legal director at Yara, Ken Wallace, was ordered jailed for two-and-a-half years while former executive vice presidents Daniel Clauw and Tor Holba were sentenced to two years each. 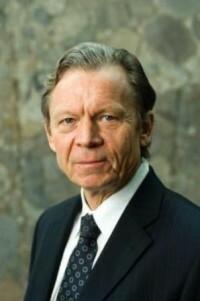 Enger retired from Yara in 2008 and both Wallace and Clauw had left the company by the time they were charged and later indicted in the huge bribery case. Holba was placed on leave pending the outcome of the four defendants’ lengthy and complex trial in the Oslo City Court (Oslo tingrett) that ran for three months earlier this year. All had pleaded not guilty to charges they’d gone along with paying bribes in order to set up a fertilizer plant for Yara in Libya and other operations in India. Newspaper Dagens Næringsliv (DN) reported that Enger was the first to file an appeal after their convictions were handed down Tuesday afternoon. Holba said he would appeal as well. After deliberating for more than three months after the trial ended in March, Judge Heidi Heggdal and two other judges, Leif Sven Helmich Pedersen and Morten Drake ruled that not only were all four men guilty as charged but that Enger should receive the toughest punishment. Clauw was acquitted of bribery charges involving Yara’s ill-fated Libyan venture but was found guilty of serious corruption involving Yara’s business in India, and sentenced to two years in prison for that. Prosecutors had sought a six-year prison term for Clauw after he was indicted on bribery charges in both India and Libya. The appeals already filed, and potential for more, mean that the Yara bribery case is still not over, with at least one more round in court looming. The company itself opted last year to pay the largest fine ever handed to a corporation in Norway, and thereby avoid further prosecution.